The car culture, as we know it, is dying. Not because cars are going hybrid or electric, and lack of noise coming out of exhaust systems makes car lovers depressed, neither because they are “learning” to drive by themselves. With a little push of tech giants, the same industry that led the way to mass production era -with Ford T’s assembling line- now is moving towards the digital economy, which means it is not about horsepower anymore, but computing information, data, and providing connected services. At first glance, it might sound strange since cars are seen basically as mechanical devices operated by humans, who are actually requested not to use a smartphone or any other electronic gadget while in charge. Unusual requests like this are just not common anymore but still appear in very specific places, such as cinemas, theaters, airplanes (during takeoff or landing), and inside the Sistine Chapel. Despite that, since the first applications of electronic controls back in the 1970’s, cars employ more and more computational technology each year. As a matter of fact, today vehicles are way smarter than a smartphone: a new, luxury one operates with around 150 Electronic Control Units (ECUs), according to Intel. Together, these processors are capable of up to 10 trillions of floating point operations per second (10 teraflops), more than double the capacity of the world’s most powerful computer of the year 2001. For personal computers, the 1 teraflop peak was reached just last year (Hachman). Even more “invisible” than an engine or a gear, these processors are matter of life and death, for they are programmed to control such diverse systems, from fuel injection, airbags and anti-collision braking to millions of pixels of dashboard and entertainment display. And, of course, all is based on data, collected through sensors, cameras, GPS, radars and driver’s inputs. More than describing performance, rating fuel-efficiency and predicting an accident, this data can also show how a particular driver behaves and where he goes. As we are learning from other new technologies and new media platforms, when data and behavior are in the same sentence things get interesting from the economic point of view (Fogg), and tricky for the user. Auto insurance was one of the first niches to embrace the possibility of individual customization provided by post-industrial society (Manovich), using vehicle data -called “telematics”- to offer discounts on policies and benefits. Of course, if a driver wants the fee reduction, he is demanded to install an app on his smartphone or a “black box” in the car, so it is connected to the internet. Terms and conditions also may apply, as constant tracking is part of the solution. A single company called Octo Telematics, auto declared the number one insurance telematics provider in the world, boasts to have a data-set of “over 196 billion miles of driving data, and continuously receives new information at a rate of 60,000 miles per minute”. How this data is used? One application is provided by Carrot, a British car insurer with a simple goal: “to encourage safe driving with the use of rewards, making the roads safer for everyone”. The company’s name also reveals a method: carrot and stick. Data about acceleration, braking, swerving, and the number, hour and length of journeys is translated into a number between -10 and +10 by an algorithm: the driving score, which is someway similar to Klout’s approach to rating digital influencers³. “Carrot Points” are awarded for maintaining a score above +5, and can be exchanged for Starbucks’s vouchers or Amazon’s gift cards. Although driving score doesn’t affect policy’s price, Carrot claims the right to cancel insurance if a driver is “consistently” below zero: the “red zone”. Behind short answers and comic language, the official page fails to explain what “consistently” means, and also makes difficult to understand how driving score is calculated, which specific data is collected and for how long it is stored. The company alleges “all data is private”, but admits it can be used in case of robbery, and “if anyone insured by Carrot is being naughty and tries to submit a false insurance claim”. 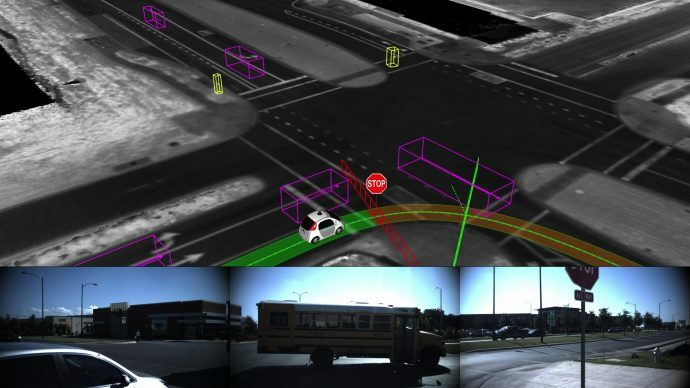 Even if we are benevolent enough to see only good intentions, not risks and simplistic solutionism, as technology critic Evgeny Morozov would point out, the question about who owns data persists and spreads all over connected car’s environment. A recent report from the United States Government Accountability Office (GAO) revealed that 13 of 16 selected automakers are collecting, using, and sharing information from connected vehicles. They say data is being used only for research and development, however, the report found that the practice lacks transparency and fails to provide options to consumers who did not want to share their data. The problem with connected cars seem not be consent, because it’s easy to trick us with a reward “carrot”, but transparency and awareness of possible consequences. Some of them are predictable, others are not, like Uber’s “Rides of glory” episode: a now deleted 2012’s blog post showed how rider’s data patterns could reveal volume of night-stands in six US cities (Landau). In the same way as web searches, social media likes and video streams, driver/passenger behavior and location have economic value, which can reach up to US$ 750 billions by 2030, according to a report (McKinsey & Company). And there is no need to make cars to guarantee a piece of the pie, only algorithms, software to drive the cars of the future (and collect the passenger’s data). Google, Uber and also Apple know this potential can become reality only when there are no concerns over driver distractions, even though other questions related to privacy, liability, safety, and regulations are still unsolved. While tech giants lead the autonomous car’s race, automakers subtly start to test the car as a marketplace. New General Motors (GM) models are rolling out of factory with an app for buying food, gas, and other services directly from a touchscreen display. Vice president of strategy at GM, Mike Abelson told Bloomberg they are not selling data to third parties “yet”, but automaker’s partner Telenav is already counting on it. Yes, the days of ad-free infotainment dashboards are numbered, and this is only the beginning of a transformation in how we perceive vehicles, from a transport medium to a new media platform – the “ultimate mobile device”, as an Apple’s executive said once- with more screens, social interactions and data exchange. After all, it’s all we are craving for now, isn’t it? Coppola, Gabrielle, and Welch, David. “The Car of the Future Will Sell Your Data”. Bloomberg NewsWeek. 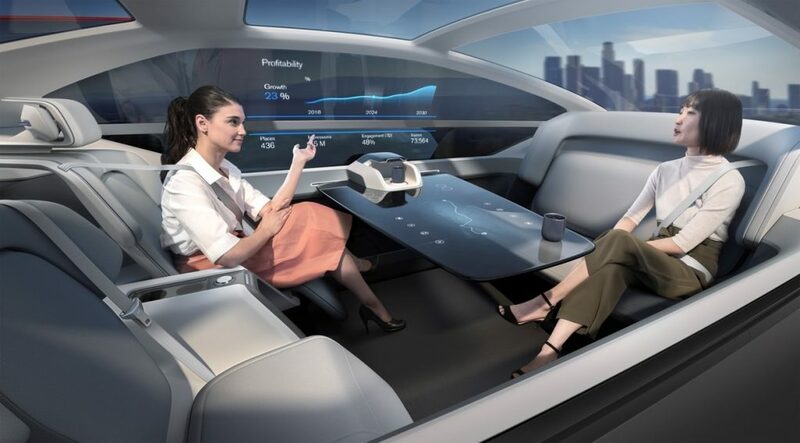 February 2018. https://www.bloomberg.com/news/articles/2018-02-20/the-car-of-the-future-will-sell-your-data. Accessed 23 September 2018. Fogg, B. J. “Introduction: Persuasion in the Digital Age”. Persuasive Technology. San Francisco: Morgan Kaufmann Publishers, 2003. pp. 1-13. GAO (United States Government Accountability Office). Vehicle Data Privacy: Industry and Federal Efforts Under Way, but NHTSA Needs to Define Its Role. 2017. https://www.gao.gov/assets/690/686284.pdf. Accessed 23 September 2018. Hachman, Mark. “Intel’s massive 18-core Core i9 chip starts a bloody battle for enthusiast PCs”. PCWorld. https://www.pcworld.com/article/3198430/components/intels-core-i9-starts-a-bloody-battle-for-enthusiast-pcs.html. Accessed 23 September 2018. Landau, Susan. “Control use of data to protect privacy”. Science, 347(6221). 2015. pp. 504–506 doi:10.1126/science.aaa4961. Manovich, Lev. The Language of New Media. Cambridge, Mass. : MIT Press, 2001. McKinsey & Company. Monetizing Car Data: New Service Business Opportunities to Create New Customer Benefits, September 2016. https://www.mckinsey.com/industries/automotive-and-assembly/our-insights/monetizing-car-data. Accessed 23 September 28. Morozov, Evgeny. “Gamify or die”. To Save Everything, Click Here: The Folly of Technological Solutionism. New York: Public Affairs. 2013.
van Doorn, Niels. The Neoliberal Subject of Value: Measuring Human Capital in Information Economies. Cultural Politics. 2014. pp 354-375. « IGTV: The Latest Blow to Traditional TV? Autonomous Cars Are The Future – But For Whom Are They The Future For?